The Resistance! 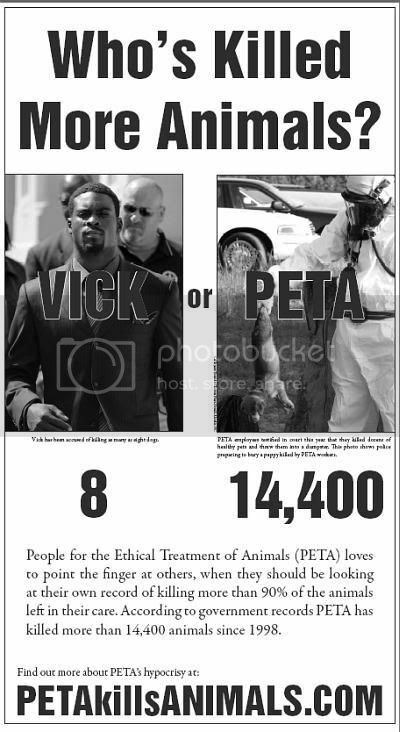 : PETA Killed 95 Percent of Adoptable Pets in its Care During 2008. PETA Killed 95 Percent of Adoptable Pets in its Care During 2008. WASHINGTON DC – Today the nonprofit Center for Consumer Freedom (CCF) published documents online showing that People for the Eth.ical Treatment of Animals (PETA) killed 95 percent of the adoptable pets in its care during 2008. Despite years of public outrage over its euthanasia program, the animal rights group kills an average of 5.8 pets every day at its Norfolk, VA headquarters.